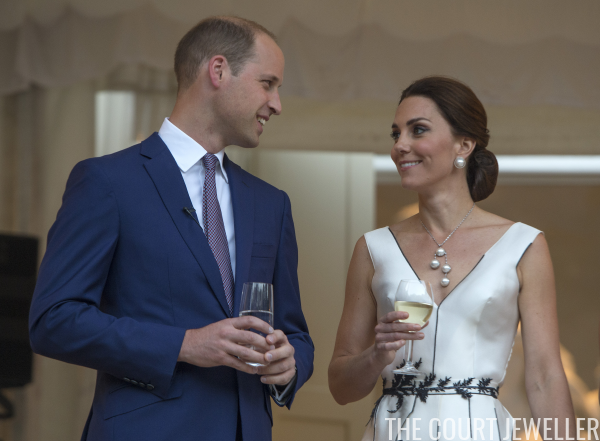 For tonight's garden party reception at the Orangery in Warsaw, which celebrated the Queen's birthday, the Duchess of Cambridge reached into her jewelry box for pieces we've seen on tour before. 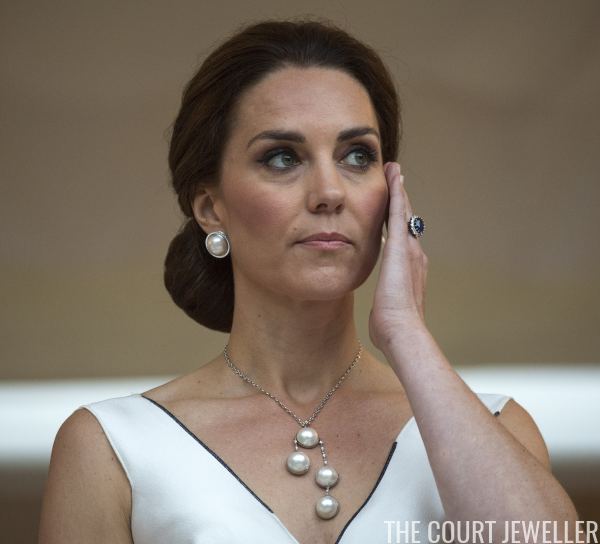 Kate wore the faux pearl earrings and necklace that she's worn on previous engagements, including Trooping the Colour in 2016. 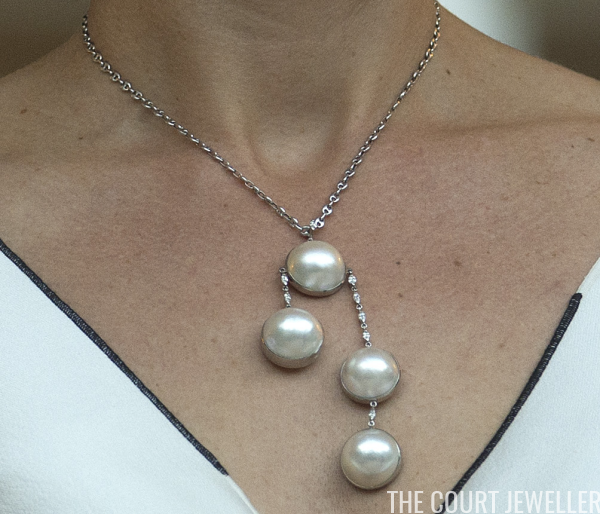 Her most notable appearance in the jewels came during this spring's visit to Paris. (See images over here!) We know for sure that the earrings are by Balenciaga, and some have speculated that the necklace may be part of a set. 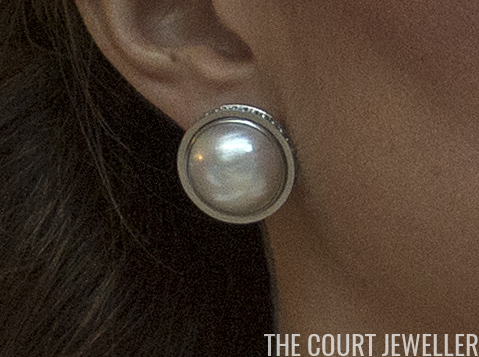 Here's a closer look at the earrings, which are the "Eugenia" style, made of faux pearls and crystals. And here's a good look at the negligee-style necklace. For those who are interested, here's a view of Kate's entire outfit. Her dress was made by a Polish designer, Gosia Baczynska, who also attended tonight's party.